With innovative New simultaneous multi-frequency technology, the Equinox Series redefines all-purpose detecting for the serious enthusiast. Equally adaptable for all target types and ground conditions, just set your detecting location and go! With the added functionality of Gold Mode, High Frequency 20/40 kHz, Wireless audio accessories and Advanced settings, the Equinox 800 offers extra. Includes- Wireless Bluetooth/apt-X™ Low Latency headphones, WM 08 wireless audio module, USB charging cable with magnetic connector, Multi-language screen protectors, and Getting Started Guide. Low frequencies give more depth on large targets, and high frequencies are usually more sensitive to small targets. With Equinox you can operate across the full spectrum of frequencies simultaneously for maximum results. 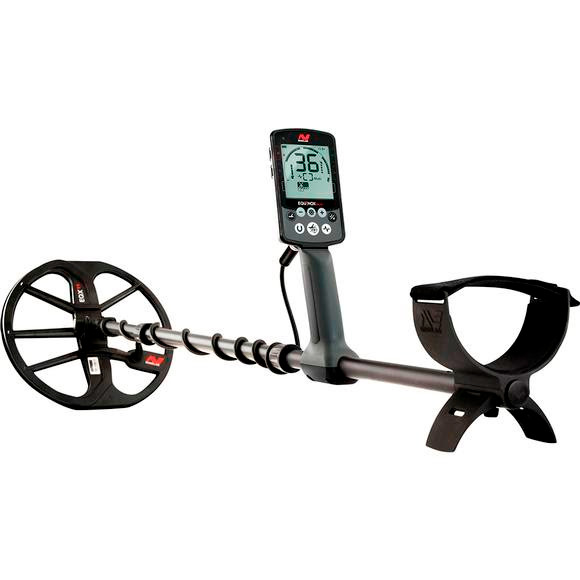 Read more detailed information and reviews on our game-changing Multi-IQ technology on the Minelab Treasure Talk Blog. Fast recovery speed with accurate Target ID ensures you won&apos;t miss any valuable targets amongst the trash.